Hi, guys! 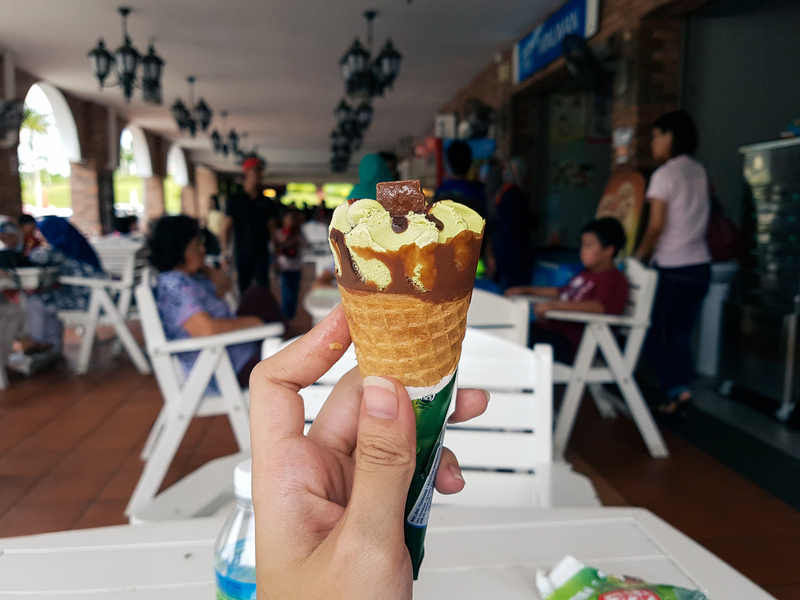 Back again with our Ipoh Travel Journal Part 2. Now if you’re missing the Part 1 of our trip to Ipoh, go check it out first before you continue to read this post. Our recent trip to this authentic old town, which famously known for its white coffee has been quite in a long process to be published. Now if you’re a writer or a travel blogger, you must’ve known what I’m talking about. This Ipoh story has been a plateau for some weeks. It’s not just about having to sort out and edit almost 6,000 photos, but it’s also because of the feels that I’m kinda confused how to carry the best out of it. But anyway, gotta do what’s need to be done. A short recap from the part 1, where we mistakenly booked the train from KL Sentral to Ipoh without really paying attention to the time. Which brought us to a late arrival at Ipoh railway station and some weird encounter of the old town where everybody seems gone as soon as it’s getting dark outside. We also had a great time strolling around the lanes in Ipoh early in the morning. Ipoh is really beautiful at sunrise. The lights that illuminating the old buildings and streets, the business of coffee shops which makes the life of Ipoh’s people, and some arts that decorate the city in some unique perspective. It’s a perfect example of that old town feel. One hidden mural wall art behind Sekeping Kong Heng. Day 3 Ipoh: Beauty Breakfast? Our sleep on our second day at this M Boutique hotel was “wakeless”. It’s comfy enough that even our eyes are open, we still lay down just like that. What a morning person. Shortly, our plan to go “catch” another sunrise was totally ruined. Yes, we ruined our travel itinerary for a comfy bed. We decided to just enjoy our breakfast and that beautiful atmosphere of our hotel lobby decoration. As you seen from part 1 of this journal, it is one beautiful lobby. We chose to have our breakfast at the MYTH, a western style restaurant at M Boutique. They offered you an option between Old Town Kopitiam “Grand” and The MYTH for breakfast. Last night we had dinner at the Old Town Kopitiam “Grand”, so this morning The MYTH it is. We had a western breakfast which I would say a-o-kay. It’s not the best breakfast you can have in town, though. But, the morning view was like no other. Thus why I called it a “beauty breakfast”. This is more like something from elsewhere but Ipoh. The vintage look, the orange-ish atmosphere, the lights, the elements that shape the ambiance, it’s perfect to have a morning coffee for a good mood. Enough for that, wait for another review post about this hotel for more detail. Next thing we know, we’re on Uber to our next hotel, Le Metrotel. That’s our third hotel because we can. This hotel located in the new town part of Ipoh. This is a really good location as you can never be worried about food when you’re staying here. But, it’s a pretty crowded area, I guess. The traffic jam was pretty unusual from what we’ve seen on our 2 days at Ipoh. Probably it’s because of the weekend, seen some people from KL checking in at our hotel, too. We had lunch at this famous chicken rice restaurant just across the street from our hotel, Restaurant Nasi Ayam Pak Kong. Just so you know, it’s a really packed one during lunch. They are one of the best chicken rice restaurants in Ipoh. You must try. We ordered a mixed chicken (roasted taste better), char siu, bean sprout, and salted veggie. You gotta wait to be seated, quite some time. One thing, get used to the loud shouting from the lady at the cashier telling what customer order to the cook team. It’s so loud that it might sound aggressive to some people. Done with lunch, we took a walk around the block just to see what’s around. There seems to be a construction work on the street. We bought another famous food around, this time a snack. 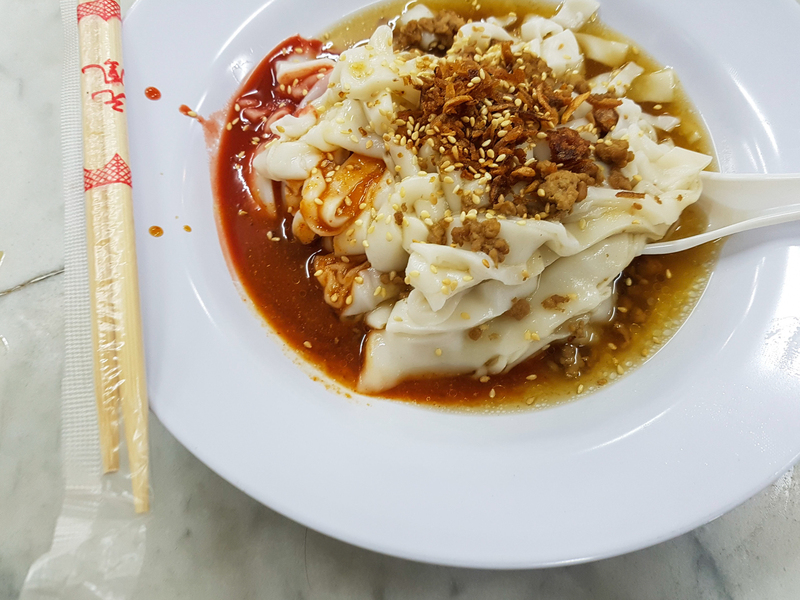 It’s a Mountain Soya beancurd, located just a block away from our hotel. The queue, though, it’s pretty self-explanatory. These people gather in a crowd around this soya place, which attracts curiosity from people passing by. Back to the hotel for check-in. Oh yeah, they won’t let you for an early check-in, 2 p.m. it is. Book another Uber for our next place on the itinerary. This time we got an Indian Uber driver which is very nice. He’s so friendly that I personally felt we’ve known each other for some time. That 20 minutes drive to Perak Cave temple felt like just a 5 minutes drive, he’s that good. Talked so calm and soothing that it makes you feel calm as well. What a driver! Uber driver is your free local guide! Ask them! Perak Cave is one of the most famous and visited cave temple in Ipoh. Upon arrival, you can see a huge parking space and probably some tour buses that separate the small pond with Kwan Yin statue and the cave temple. Perak Cave Temple from the entrance. Kwan Yin Statue and Perak Cave Temple. It has a grand look with the entrance attached to the huge limestone behind. You can read the history at the sign placed just at the entrance stair. Chong Sen Yee and his wife Choong Chan Yoke came from Jiao-Ling province of China in 1926 discovered Perak Tong and got approval from Perak State government to develop the temple. They passed away in 1980 and 1983 so their son, Chong Yin Cat take care of this temple and make this place even greater it became an international tourist spot. As a greeting, you will see a 40 feet tall golden Buddha statue. We saw some people praying before the statue, a normal thing to be seen in a temple. We proceed to go inside where it leads to another stair where there is an opening to the hillside. Okay, Sh*t Just Got Real! Now, this is where the real adventure began. You must be fit enough to explore all the hillside area because you’re gonna have to go through 450 steps of stairs all the way up. At first, it looked like this. This is the first pit stop for you who need it. Relax, you can rest once-in-a-while. Ain’t nobody got that strength to go all the way up without resting unless you are some kind of superhuman or athlete. Probably could if you’re on steroid. There’s a gazebo for us to stop and take a breath. The view was amazing up there. The higher you go the better the view. This is something like a semi-hiking outdoor adventure we all used to have back in high school. Only this time, we’re not in that high school stamina anymore. You can see some monkey, too. At some point exploring the hill, you will see them. Just be careful that you don’t annoy them. Some stairs can be so steep, that you might need to watch your step carefully. If you’re falling (rolling) down the stairs, there’s no stopping you. Just so you know. It’s a goodbye. Lol! Some of the best view to enjoy after you burn that thigh and feet of yours. Be careful, do not get too close. Waking up hungry, we’re ready for another food hunt. At night, there’s this one block full of restaurants and snack shops just around the corner from our hotel. Good location indeed. Nobody from the restaurant will care enough to find you a seat, with that queue and that small space, you have to survive on your own. What should you do? You go wait for a table by standing beside the table or behind it. Just stand there and wait until they’re gone, then you can sit. However, you can place an order first at the cashier up front. This is weird, how come people literally want to do this just for a fried hor fun? How good can it be? Mind you, the wait time will be more than 30 minutes, and at least another 30 minutes for the food. So if you’re starving you might want to find another place. Yep, stand there and wait for your table. Don’t mind people looking at you. If you’re alone, lucky for you. If there’s two of you, your chance of luck still good. Like us, we shared a table with another couple. But, for you who brings your family more than 2 persons, good luck! You’re gonna need it. Or patience, ask God for both. We literally waited like forever just to try this restaurant. Luckily they taste pretty good. 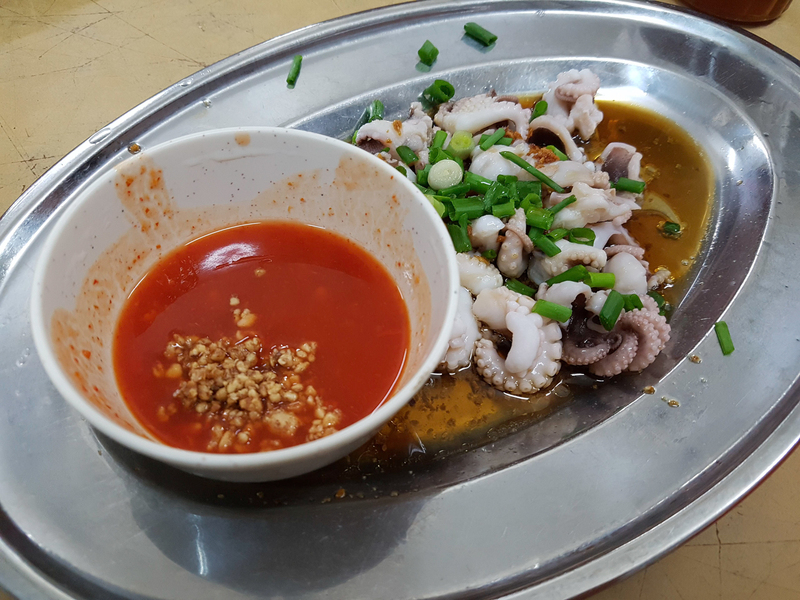 Try their baby octopus in soy sauce, it’s unique. Spent a total of RM 30 for 3 menus. Cheap it is! We always like to strolling around at night when traveling. It’s just therapeutic after you get that delicious dinner and before you sleep. A walk to remember, not to be lazy or that fat will be your best friend for good. This new town part just as our Uber drivers said, it’s more lit at night. It’s a different view from what we had on our first night. In fact, it’s quite busy at night with all the restaurants’ activity. Ipoh at night is all about food. We play around with our camera before going back to the hotel. Woke up early this morning to try another famous coffee shop in Ipoh. 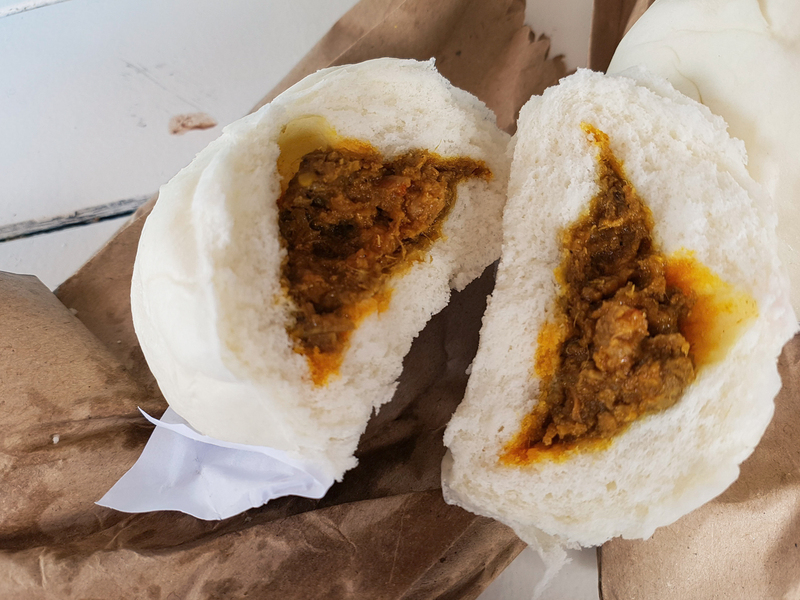 Remember that Sin Yoon Loong coffee shop we tried? This is their competition, just across the street, you can see Nam Heong coffee shop. They also popular in Ipoh as an authentic coffee shop. One of our Uber drivers said that Nam Heong’s coffee business has been passed for generations. 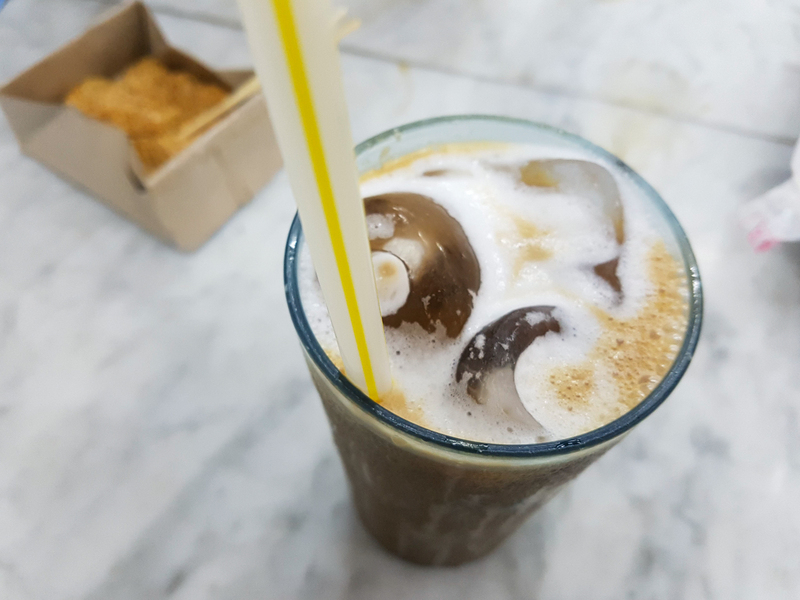 They’re one of the first family to contribute that white coffee hype in Ipoh. Hearing that from you local Uber driver, sure you want to give it a try, right? Shortly after a walk in the dark (although it’s already 6), we found a seat for two and quickly order some food and white coffee. Just like any other Kopitiam, they had food vendor stalls which sell different food. 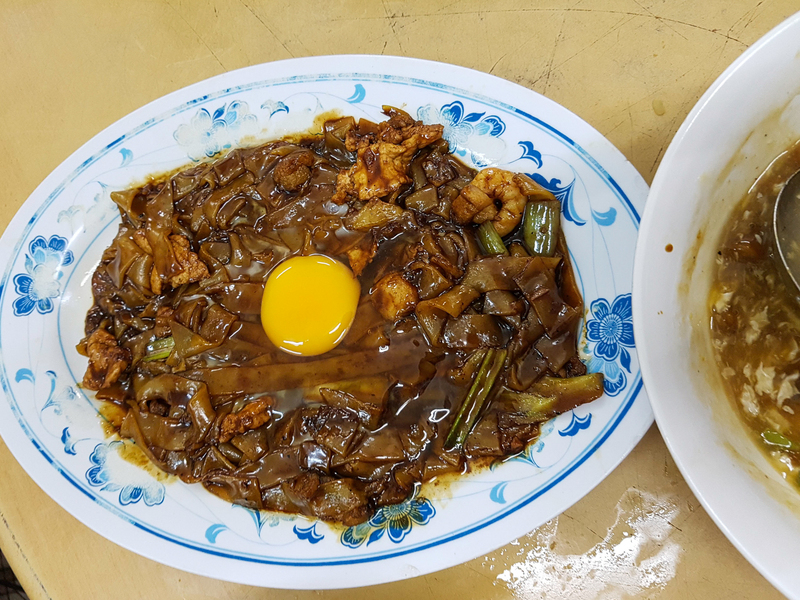 Some you can find such as muah chi, noodles, kuey teow, and many other Chinese Malaysian food. Try their dim sum, delicious. We spent RM 24 for breakfast. This place is very popular that it opened tables in an alley behind. One row of tables outdoor. Quickly we go back to the hotel as we want to go to church for a Sunday service before going to our main destinations today. Christian is a minority in Ipoh. However, there’s quite a significant growth of Christians in Ipoh in the recent years. We found this one local church named Church of Praise Ipoh through browsing the internet. Although it’s located quite in a remote industrial place, our Uber driver found it. We had a service and welcomed very friendly by this amazing couple. If you’re familiar with church, usually there’s a special welcome for new first comer to the church. Which we are, this time. Good thing that week this couple in charge to welcome newcomers. It looks like we’re the only one new there. We had a great time chatting with Mr. & Mrs. Yeoh. The husband Mr. Yeoh (51) owns a construction company while his wife Jo Anne (58) works as a housewife supporting his husband. They had a son (18) who currently going to college in KL. Having an interaction with local people like this is a great way to experience during your traveling time. Which I encourage all of you to do. We shared with each other about how things going with our country, cities, life, church, etc. They pop questions, we pop questions. Such a great time! They shared so many things about Ipoh and Malaysia to us. And us too, about Jakarta and Indonesia to them. The thing is, they’re in their fifties and we’re in our twenties, but that’s not really felt like that! Such a humble couple. We had a homemade sandwich from Mrs. Yeoh, though. A mother she is. Shortly, we realized that we spent more than an hour chatting with them. We really need to get going. We had the same Uber driver to pick us up at the church. This is our third time to ride with him. His name is Mr. Lim. He’s Chinese and was very nice to us. He offered to pick us anywhere. Just text or call him, when he’s close he’ll tell us to book with the Uber app immediately. Thanks to him, our trip made easy. This time we asked him where should we go from there. We tried to get the best possible itinerary with the time left for us. Between Gua Tempurung, Kellie’s Castle, Kek Lok Tong, and Sam Poh Tong, he recommended us to go to Kellie’s castle first. 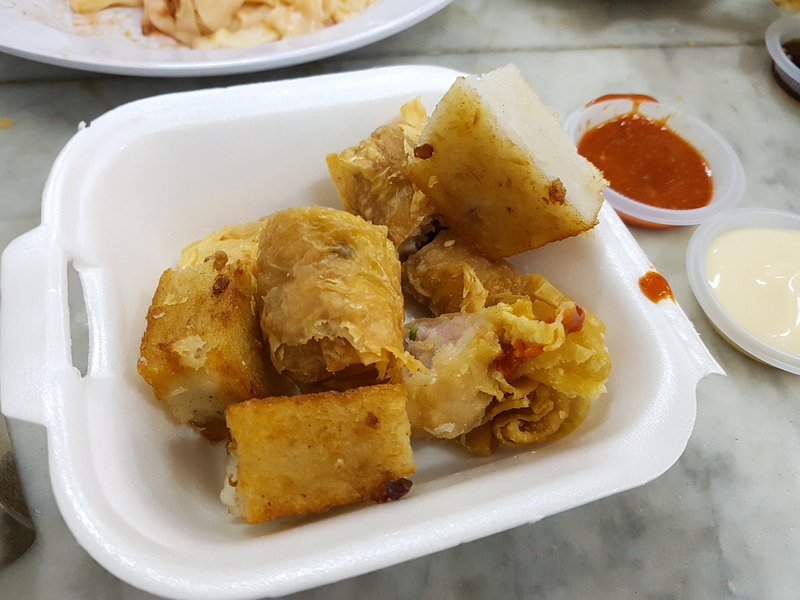 Then if there’s time left we can try Kek Lok Tong. Alright, castle it is then. D*mn, that’s quite a lot of people. Only then, it came to us that today is Sunday. Right, that’s why. But given the situation, we do it anyway. We skip the cafeteria that greets us at the entrance, we only get some drinks and decided to eat later after exploring the castle. From afar, the castle looks like something from Mario Bros Nintendo game. If you ever played that, it reminds me of that castle in the game. One thing before you go here, it can be seriously hot during the day. Stay hydrated, people! As a little intro, this castle was built by a Scottish man, William Kellie Smith. Who by the age of 20 came to Malaya to work as a Civil Engineer. He then became a successful man and decided to build a huge castle with Scottish, Moorish, and Tamilvanan architecture. Sadly he died at the age of 53 and the castle construction never completed. Once you bought your ticket, remember to just take it slow and enjoy the whole castle. It can be overwhelming sometimes. It is a castle, it’s kinda big, but… It’s not big enough to fit all the visitors at once and still enjoy a good time and SPACE to move. Because, you know, it’s a castle, it has rooms. In some area which not really meant for a lot of people, it can be frustrating just to get through. We even had to wait for quite a queue at the highest viewing point of the castle because the stair is just fit for one person at a time. The spooky basement and dark rooms are where, according to rumors, most haunted part of the castle. Yep, despite being a popular tourist attraction, it is a haunted one. Once again, according to the rumor. That’s why they’re not open at night, maybe. Let her expression tells it all. But yeah, the overall experience, we had a fun time to explore and read the story of this castle. We’d like to cover this castle with more interesting photos we took on another special post. We spent about 3.5 hours here. Time was kinda illusion when you explore this place, though. By sight, it’s not that large, on top I predict we’ll only spend 2 hours here. I was wrong. Our lunch at their cafeteria was a chicken pao with kitkat matcha ice cream from Wall’s. Because we’re exhausted and hungry, this is one heck delicious meal we ever had. Done with our late lunch, called Mr. Lim. He picked us up and we’re going to the last stop for our day 4. The Kek Lok Tong temple, I can say the best attraction we had on our trip to Ipoh. If only we visited this temple for a longer duration. Anyway, I guess I should stop here. It’s already a very long one to read. The next journal post will be part 3, the closing journal from this Ipoh trip. Save the best for the last, yeah? Alright, thank you guys for reading! Hope to see you on the next post. Be sure to subscribe to our mailing list and don’t forget to share this with your friends! Until next time, bye!